Greasy oil drums are not something that people want to keep on their stylish office desks. If you are a supplier of oil drums or are in the oil business you need an innovative idea to get your brand close to your clients. These fabulous stress toys make the perfect option. They are high-quality, made from a pliable material that can be squeezed and squashed and retain its shape. Your clients will love to play with them in the office, reducing tension and frustration levels that are so apparent in the workplace. 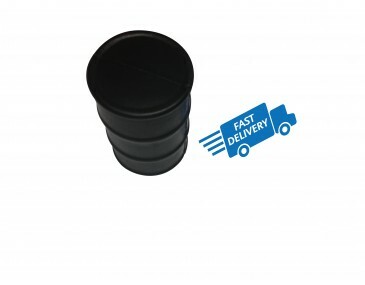 Our toys are manufactured in the classic shape of an oil drum. They feature a dark colour and a round body. Two concentric rings around the body add an authentic look. The dark shade will perfectly showcase your personalised company logo when you brand it onto the drums. Our listed price includes branding of your logo or graphic in a single colour print. Stress toys are great conversation starters and make cute and different office desk ornaments. Use these trendy toys to create a stir at trade shows, expos and product launches. This product is supplied in bulk quantities, making it ideal for large promotions. We offer a product turnaround time of two weeks, but we can offer even faster turnaround times for urgent orders. Please note that our prices exclude GST and a print set up of $75 applies. For larger orders ask about our custom made indent production service. We can supply this product unbranded if required. Comes in a set of 4 including yellow, blue, red, green.